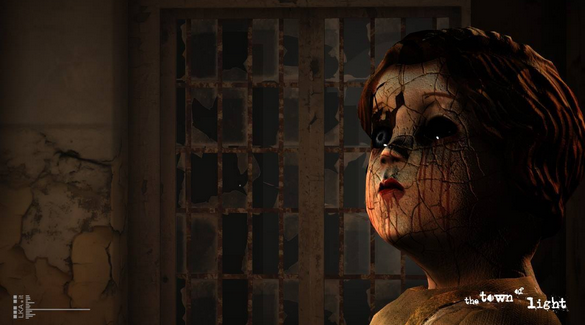 The Town of Light is an upcoming first-person psychological thriller by an independent development studio named LKA. This spine-tingling title takes place in an abandoned psychiatric asylum in Volterra, Italy, and is supposedly based upon a true story. Players take the role of a fictional 16 year old female named Renee. According to the story plot, Renee has been a resident at this hospital for quite sometime due to her having a horrendous case of schizophrenia. Check out the official trailer below for a better look at this menacing scheme. According to LKA, the game has been inspired by "true stories and events that happened in one of the biggest asylums in Europe," which just so happened to have held more than 5,000 patients. Whether or not you choose to believe this tale, the developers are sticking to what they had said concerning the plot. After doing a substantial amount of research, the developers precisely recreated the “7000 square meter asylum and grounds.” LKA conducted a profusion of interviews with actual doctors, nurses, and even patients whom resided at the asylum many moons ago. The Town of Light was recently “greenlite” by the Steam community, and will be available on PC, Mac and Linux in late 2015. Maybe this game doesn't sound like your cup of tea, but here is something that might change your mind. This title will contain support for the Oculus Rift, which will give the average player a slightly more eerie experience when playing. I believe that using the Oculus Rift will enhance your gaming experience, and physically put you behind the walls of the deserted structures. Prepare for a terrifying adventure that can only be recreated with today’s modern technology. There are rumors regarding a beta, but, the developers have not formally announced this. Despite this news, the developers did tease the idea by saying that we may being seeing a demo towards the end of the year. I have always been a fan of the horror genre, and this game doesn't look half-bad. Although, I would much rather purchase a digital copy of Irrational Games’ Perception over The Town of Light. For more information regarding Perception, feel free to check out this article. How do you feel about developers integrating virtual reality into horror titles? Leave your comments and opinions in the comments below, I look forward to reading them. VitalityV2, FrisqueTv, The Finders Cult and 1 other person like this.